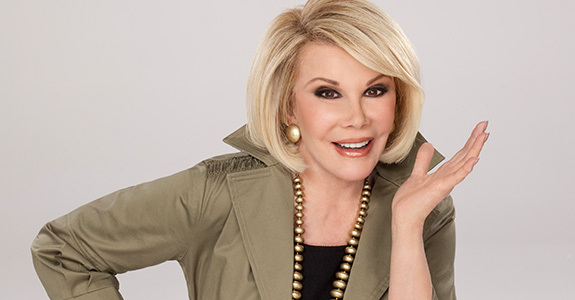 After a week spent comatose in the hospital (triggered by cardiac arrest during a routine surgery procedure), Joan Rivers has passed away at the age of 81. Joan, for those of you who didn’t know, was one of the first female comedians to ever break it big. She was Johnny Carson‘s (first and only) permanent guest host on The Tonight Show. If you’re ever able to pick up a copy and read We Killed: The Rise of Women in American Comedy, there’s an extensive portion on Joan alone, and it really does show just how tough she had it in a male-dominated field in a time when being a woman in any workplace was a major uphill battle. I’m not going to focus on how Joan died. Instead, I’m going to focus on a scene from her documentary, A Piece of Work. I saw it when it first came out a few years back, and the one scene that stuck with me longest was when she dealt with a heckler. She had made a joke about Helen Keller, and someone in the audience got angry because he had a deaf son. Of course, she cut back, but you also get to see the regret she has about it later. She makes jokes, sure, but there was still an underlying humanity behind even the most brutal jokes. 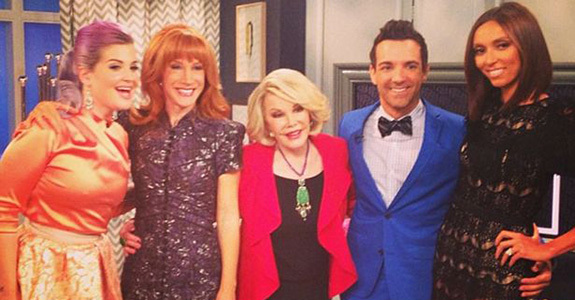 Rest in peace Joan.